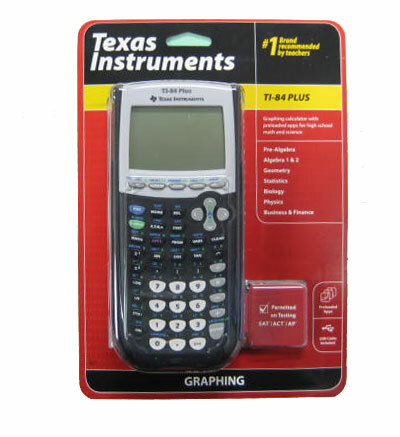 TEXAS INSTRUMENTS TI-84 PLUS graphing calculator with preloaded apps. USB cable included. includes 4 AAA batteries.